The stories in Tom Barbash's wondrous and evocative collection explore the myriad ways we try to connect with one another and with the sometimes cruel world around us. The newly single mother in "The Break" interferes in her son's love life over his Christmas vacation from college. The anxious young man in "Balloon Night" persists in hosting his and his wife's annual watch-the-Macy's-Thanksgiving-Day-Parade-floats-be-inflated party while trying to keep the myth of his marriage equally afloat. "Somebody's Son" tells the story of a young man guiltily conning an elderly couple out of their home in the Adirondacks, and the narrator in "The Women" watches his widowed father become the toast of Manhattan's midlife dating scene, as he struggles to find his own footing in life. 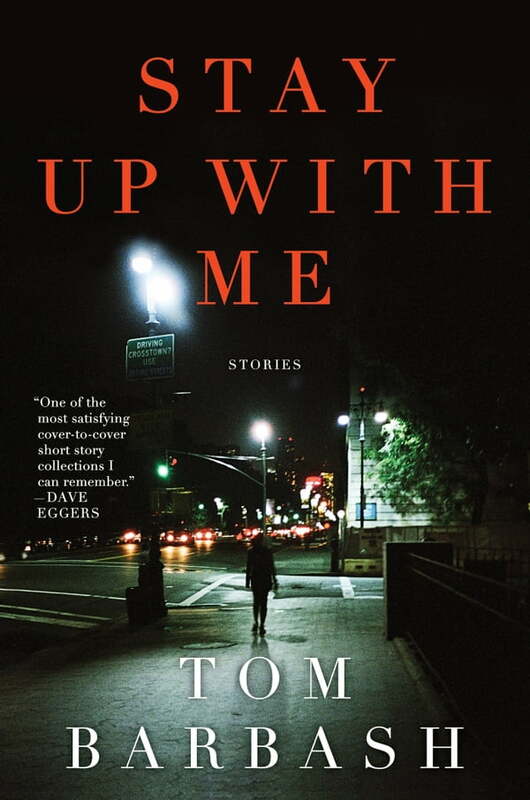 The characters in Stay Up with Me find new truths when the old ones have given out or shifted course. In the tradition of classic story writers like John Cheever and Tobias Wolff, Barbash laces his narratives with sharp humor, psychological acuity, and pathos, creating deeply resonant and engaging stories that pierce the heart and linger in the imagination.